I’ve been interested in natural dyes for a while now; I read a lot of blogs and endlessly wonder what colour I could get from plants I pass on a daily basis, but this is the first time I have systematically experimented with them. After reading about how easy it is to make natural mordants at home and how they can give different colours to dyes, I decided to take the plunge. 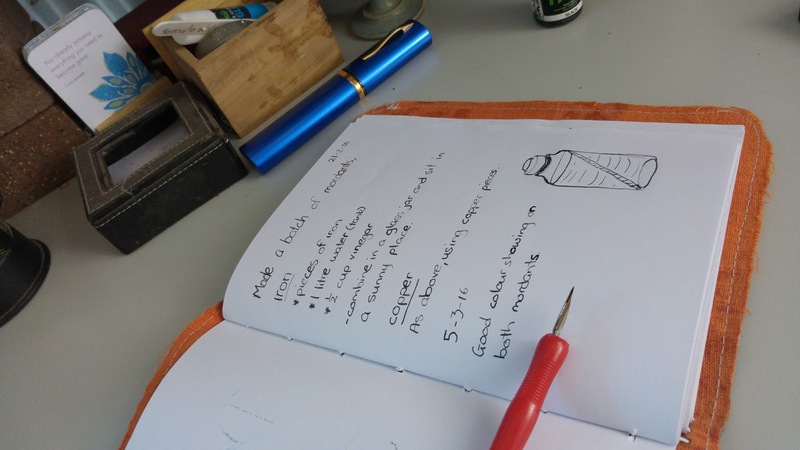 First I needed a dye journal (of course) to record all my recipes in so I could repeat a colour if I wanted to. 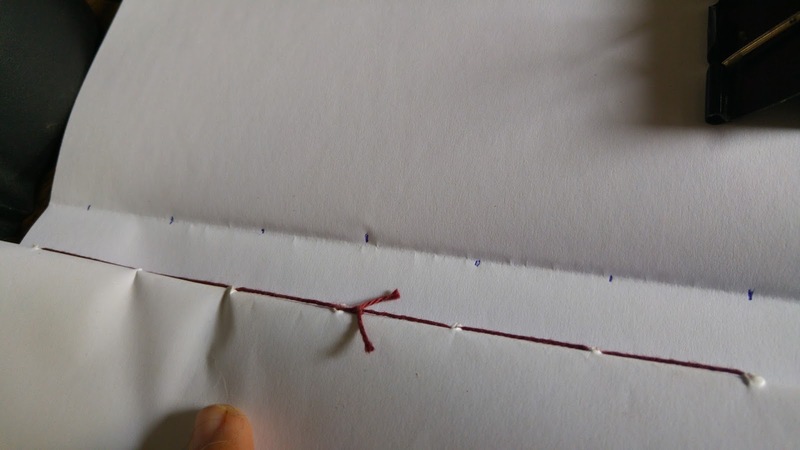 I had a refillable cover made already (see this post for how I did it) so I whipped up some saddle stitch signatures to fill it with and away I go. Measuring the holes out very precisely (sort of) with another signature. 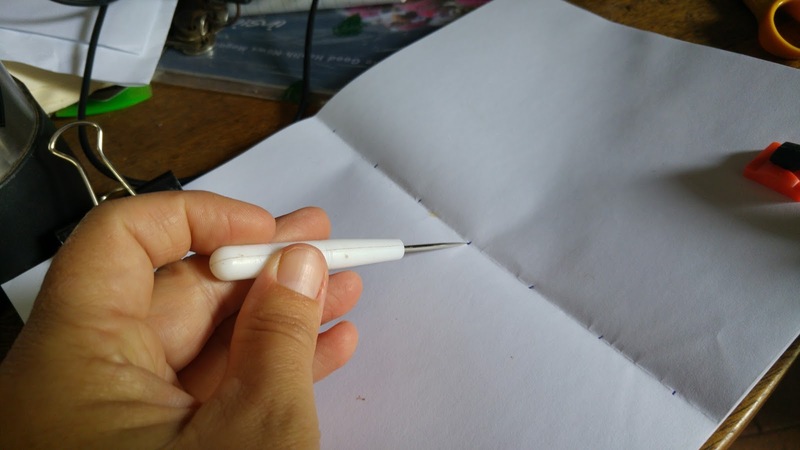 Punching holes so I can stitch the pages together. 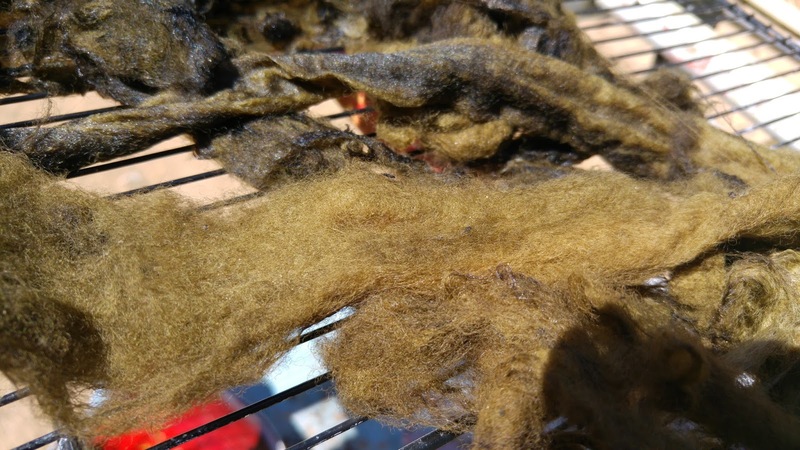 Natural dyeing is a huge subject, so I won’t try to explain it all in one post. The basics are simple though; natural fibres such as sheep wool, alpaca, cotton and silk can all be dyed using plant and animal products. The general method is to boil stuff and soak fibre in the resulting liquid. 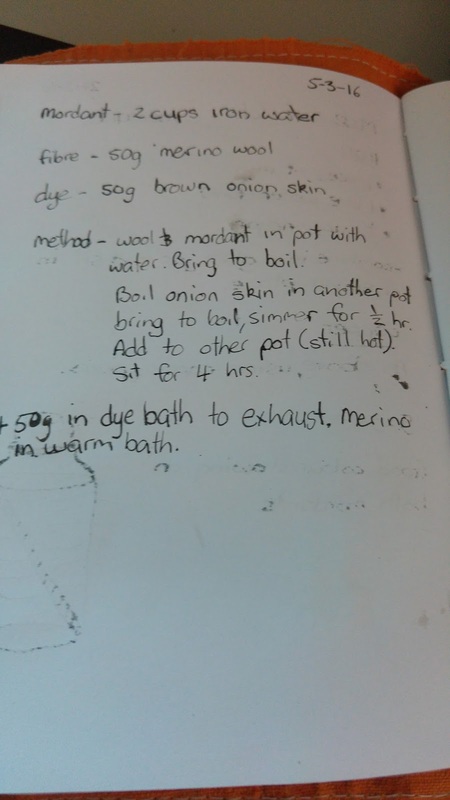 Most dyes obtained from plants need a mordant (which helps the colour stick to the fibre), mordants are usually salts or metals such as alum, iron, copper, salt and vinegar, so I read up on how to make some at home and had a shot at it. 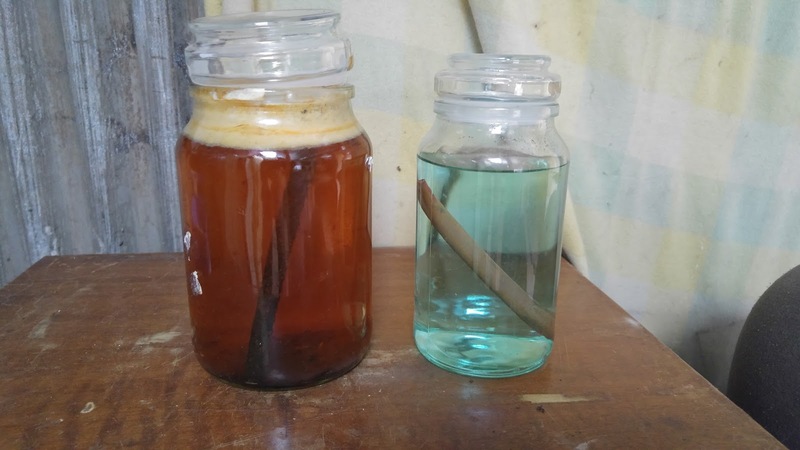 I made iron and copper mordant by filling two old jars with water and a half cup of vinegar then throwing (well placing carefully) copper pipe in one and iron in the other. I left both jars on a shelf and used the iron mordant with great results two weeks later. The one on your left is iron and the one on the left is copper. 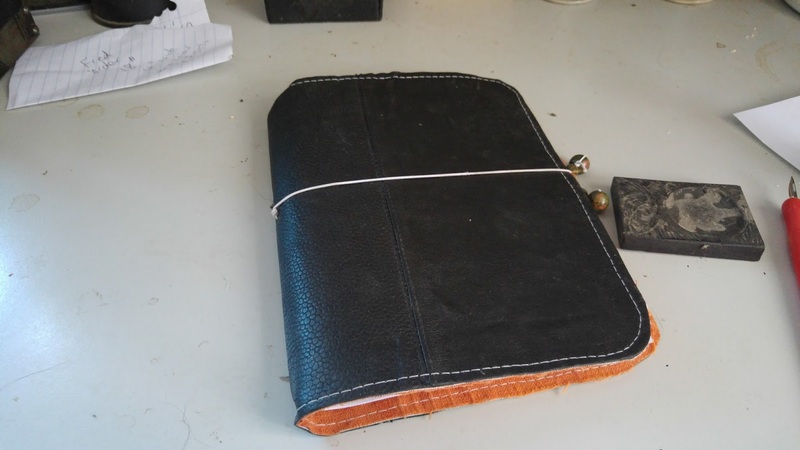 Of course I wrote it all down in my dye journal. Having read that onion skins (usually a yellow dye) with iron mordant can give greens I just had to try it. So I broke out my supply of saved onion skins and boiled up a batch of dye; just throw onion skins in a pot of water and boil away (be aware that your partner or children may erroneously believe you are cooking dinner as it smells like soup). Meanwhile I poured two cups of iron mordant into a big pot of water, added 50g of washed merino wool and put it on to heat. When the mordant pot came to the boil I turned off the heat and let it sit for an hour. 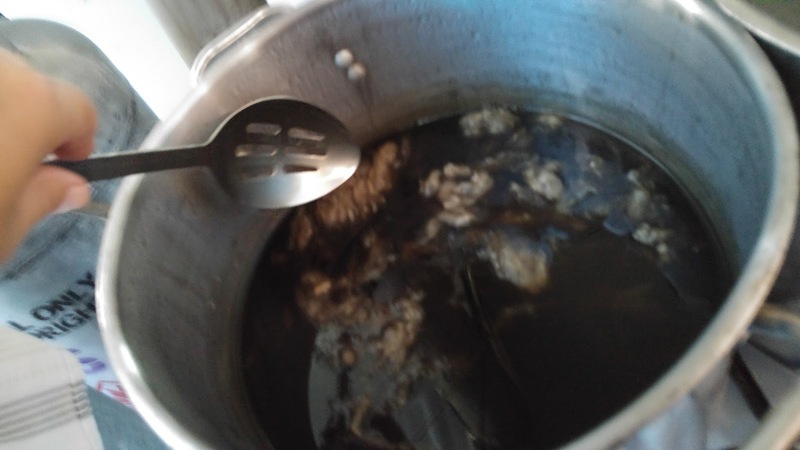 After that I strained the onion skins out of the dye pot and dumped the liquid dye into the mordant pot. The fibre immediately began to go a dark greenish brown, so I just let it sit. The colour started to go into the wool straight away, so exciting. 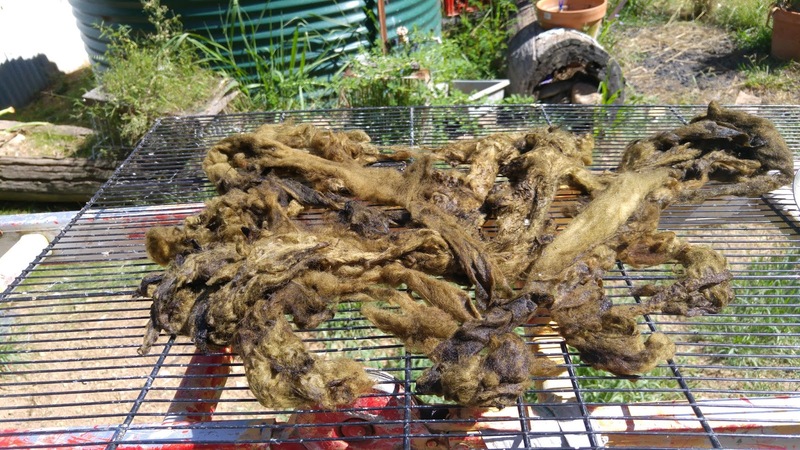 After a couple of hours (while I was forced to study and do house work) I fished the wool out of the dye vat and took it outside to dry. There was still a fair amount of colour in the pot so I just threw in another 50g of merino to see what colour I would get with no mordant except what was left in the mix. I’m fairly happy with the result. Hope it keeps it’s colour as it dries. 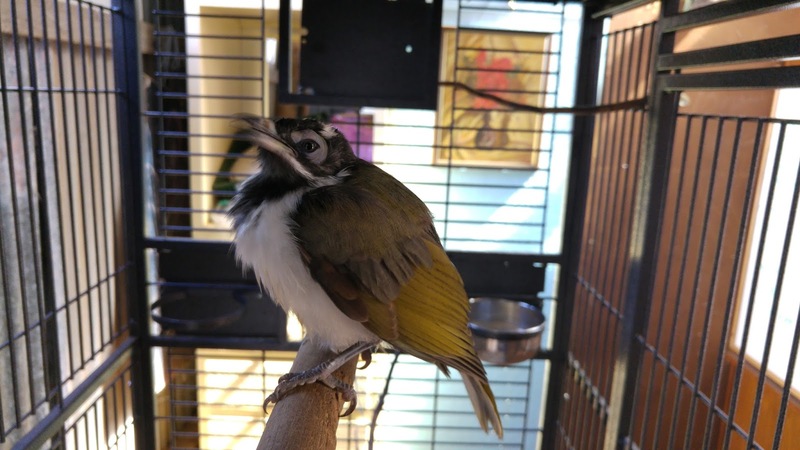 It’s the same colour as Barry’s wing feathers. I dutifully wrote it all down for later perusal. The colour is so deep; maybe because it’s natural dye it has the same look as Barry’s wing feathers, they sort of glow with colour. I hope my wool keeps it’s colour as it dries and I can spin up some beautiful green yarn to make a hat or something. 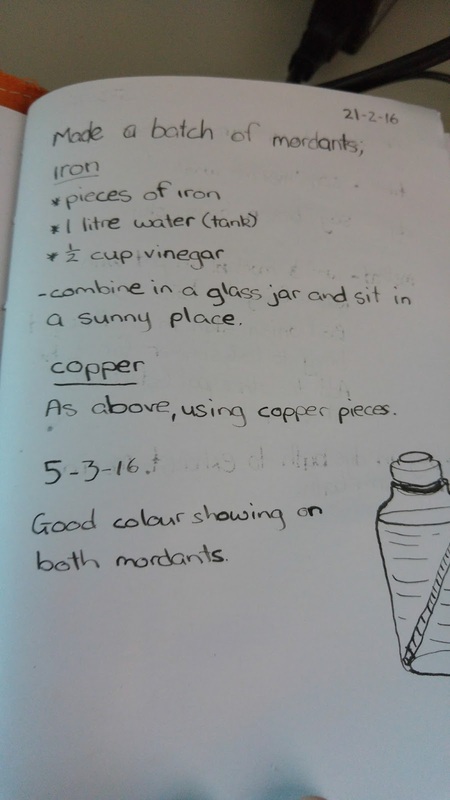 Next I’ll look for a recipe that uses copper mordant and makes purples or blues.